For as long as I can remember, whenever we're heading out of DC via Foxhall Road, when we hit Canal Road I make mention of what appears to be a trailhead a little ways into the brush. Come on, I beg Shira, just this once let's throw off all our responsibilities and investigate the area. We never do. Or, more accurately, never did. Tonight I changed all that by plotting my running route in the area of said mystery trail into hopes that I'd finally uncover what was there. The route I had planned was super simple: run across the Key Bridge, jog along the C&O Canal, take my mystery trail to Reservoir road, run down 35th st, and finally return to Rossyln. About 5 miles. The route turned out to be a terrific one. The water level on the canal was high and gave me a good sense of what it must have looked like back in the day when it was a working thoroughfare. 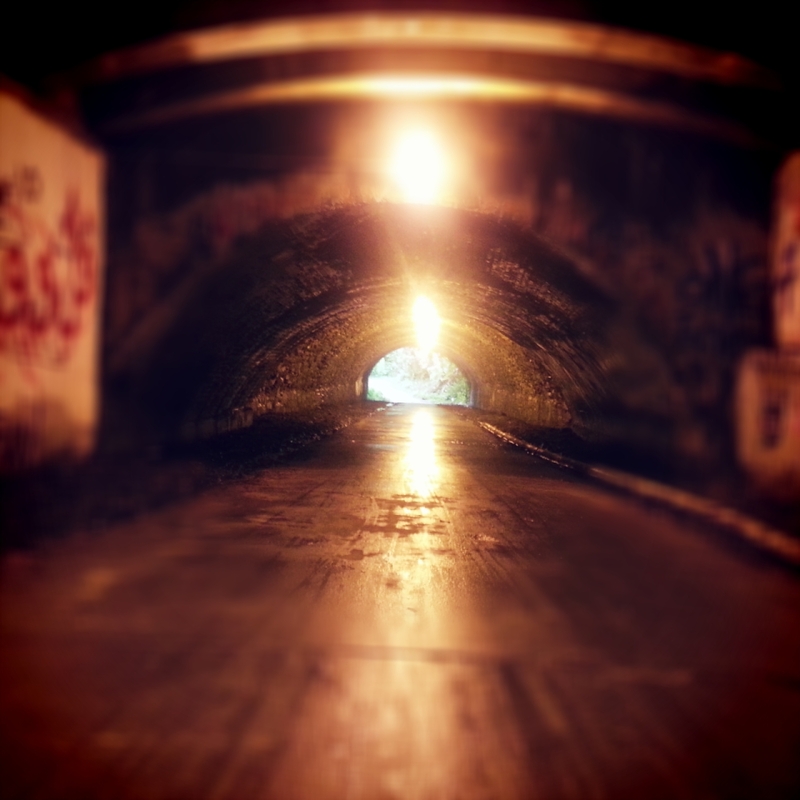 There's was a spooky (and smelly) tunnel that was an ideal photo subject, and finally I made it to my mystery trail. Turns out, it's no mystery at all. 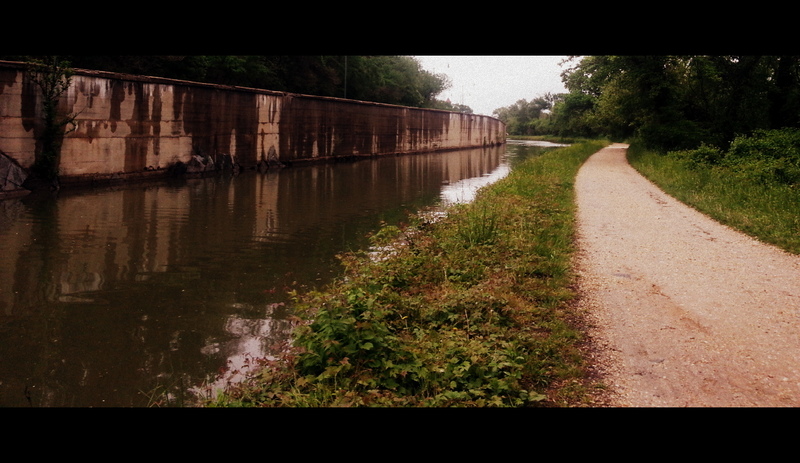 It's named the Glover-Archbold Trail and it runs for about 3 miles through DC. 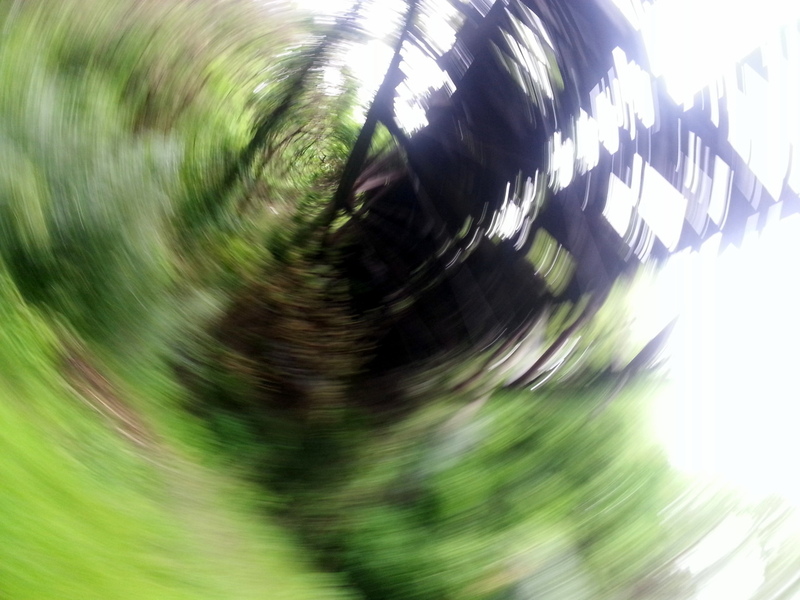 It's amazing how just a few feet into the trail I felt like I was in another world. I heard quite a bit of jet noise from passing airliners, but other than that, all I heard was bird song. It was absolutely delightful. Just like some trails in Arlington, what it loses in raw distance it more than makes up for in ambiance. As if to nail home the point, as I was jogging along I saw a large black bird with a bright red crown. Seriously, it looked like some exotic animal had escaped the zoo. Of course I wasn't quick enough to get a snapshot. I'm almost certain it was a Pileated Woodpecker. It was magnificent. 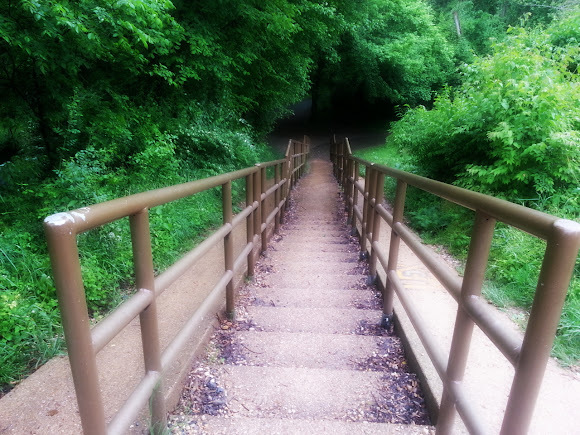 If you're anywhere near Georgetown, you'll definitely want to take some time to explore the trail. Think of it as the perfect antidote to all that Georgetown shopping and congestion. Here's a few pictures from my run. Special effects provided by Pudding Camera, a really high quality camera app for Android that's tons of fun to use.